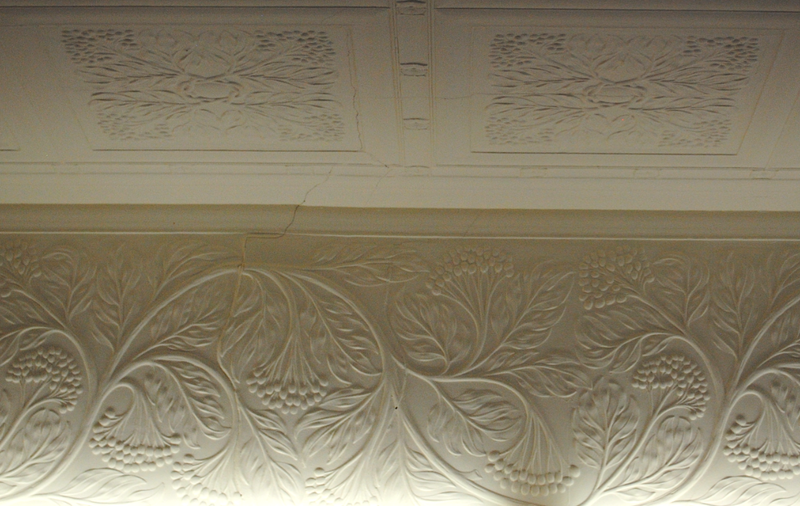 On display at Blackwell is the above master mould which was used for the White Drawing Room ceiling. 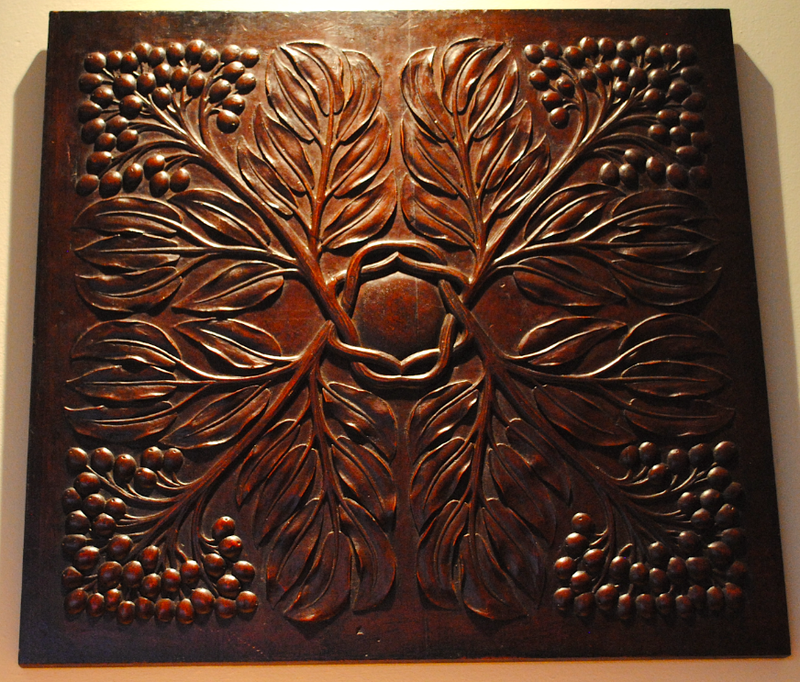 Dating to circa 1898 and designed by Baillie Scott, the fruitwood design is carved with interlocking rowan branches and features on the plasterwork ceiling of a grid comprising four different designs, of which this is one. Plaster moulds would be cast from the fruitwood master mould and the actual ceiling panels created from the plaster versions. Baillie scott, in his 1906 book Houses and Gardens, stated that the rowan had been “specially desired” as a decorative motif by his client Sir Edward Holt to reflect the Holt family crest- three stylised rowan trees.